The picture on this t-shirt surely looks like heaven. We all like to relax and be filthy once in a while just like this little pig. And of course there is a male version of this shirt available to because they can be real pigs to. 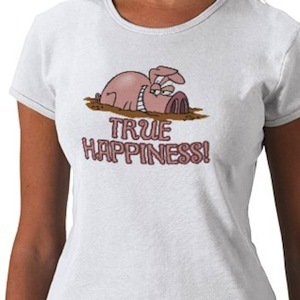 Have a closer look at this Pig True Happiness T-Shirt.